Members of a Native American tribe in Arizona took to the roadways on Monday to protest against a proposal for a massive copper mine at a small town east of Phoenix, vowing to protect sacred lands. A small group from the San Carlos Apache tribe began a scheduled cross-country caravan to Washington, D.C., to try to persuade the U.S. Congress to save an area known as the Oak Flat campground near Superior, Arizona. The several dozen protesters hope to garner wide public support and get lawmakers to repeal a land exchange signed last year that paves the way for a $6 billion project by Resolution Copper Mining, a company jointly owned by Britain’s Rio Tinto and Australia’s BHP Billiton Ltd. Mine supporters tout its expected benefits, including about 3,700 jobs and $60 billion in economic impacts. The battle lines were set in December when President Barack Obama approved the exchange of 2,400 acres (970 hectares) deemed sacred to Native Americans and precious to environmentalists. The exchange was tucked into a defense spending bill and supported by members of Arizona’s delegation including former Republican presidential contender John McCain, who called the bi-partisan bill a “game-changer” for the area. He also said in a statement last month that no tribal land or land designated as sacred by the U.S. Interior Department was involved and that the legislation includes key concessions to address opponents’ concerns. Organizers said plans call for the caravan to stop at Native American reservations nationwide, adding to its ranks along the way. The goal is for 1,000 people to descend on the lawn in front of the U.S. Capitol on July 21, Rambler said. “We’re the first Americans, and our voices need to be heard and they will be heard,” she said. More than 70 tribal nations have urged the U.S. Senate to defeat or remove a section of the 2015 National Defense Authorization Act that would transfer a part of the publicly-owned Tonto National Forest that is sacred to the San Carlos Apache Tribe to a giant international corporation for a massive, environmentally devastating copper mine. The Affiliated Tribes of Northwest Indians(ATNI), a non-profit Oregon-based organization with 57 member tribes, and the 16-member Great Plains Tribal Chairmen’s Association (GPTCA), have each asked senators not to enact Section 3003, the Southeast Arizona Land Exchange, of the annual must pass defense bill. The GPTCA’s letter is available here. The tribes’ actions are in solidarity with San Carlos ApacheChairman Terry Rambler, who has launched a grassroots campaign to defeat the land swap measure. “If such a land transfer provision seems out of place in a defense bill, that’s because it is. If the idea of transferring the ownership of federal forestlands to foreign mining companies seems absurd, it’s because that’s true, too,” said Fawn Sharp, President of the Quinault Indian Nationand ATNI and Area Vice President of the National Congress of American Indians. The Southeast Arizona Land Exchange and Conservation Act is a House bill sponsored by Rep. Paul Gosar (R-AZ). It was tacked on to the annual must-pass NDAAalong with several other land-related bills by Sen, John McCain (R-AZ), according to the Huffington Post. The House approved the land swap bill December 4 and sent it on to the Senate for a vote. If approved by the Senate and signed by President Obama, the land swap provision will allow Resolution Copper Co., a subsidiary of the controversial international mining conglomerate Rio Tinto, to acquire 2,400 acres of the federally protected public land in the Tonto National Forest in southeast Arizona in exchange for 5,000 acres in parcels scattered around the state. The United Kingdom-based privately-owned global mining corporation reportedearnings of copy0.2 billion in 2013, a 10 percent increase over the previous year. Resolution Copper plans a massive deep underground copper mine on the San Carlos Apache’s sacred landscape and has already begun drilling the shaft in anticipation of the land swap bill’s approval. 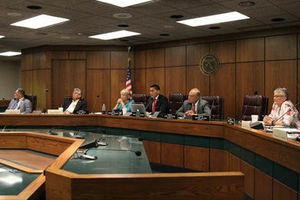 Letters were sent to Senate Majority Leader Harry Reid, Minority Leader Mitch McConnell and the chairs and vice chairs of the Senate Armed Forces and Indian Affairs committees December 9, asking that the Southeast Arizona Land Exchange and Conservation Act be stricken from the NDAA, ATNI contact Steve Robinson said in a media release. But once the land is privatized it is no longer protected by federal laws such as the National Historic Preservation Act, the Archaeological Resources Protection Act, the Native American Graves Protection and Repatriation Act, the American Indian Religious Freedom Act, the National Environmental Policy Act, and Executive Order 13007— Protection of Indian Sacred Sites. The land swap act also sets a bad precedent, Sharp points out, because it does not allow for any meaningful consultation with tribes and mandates the land transfer within one year of its passage without any studies or environmental impact assessments. 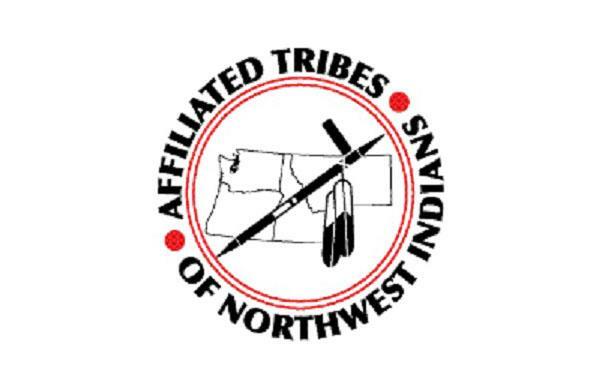 The ATNI was formed in 1953 and is the largest regional Indian organization in the country dedicated to tribal sovereignty and self-determination. ATNI represents tribal governments from Oregon, Washington, Idaho, Northern California, Southeast Alaska, and Western Montana.